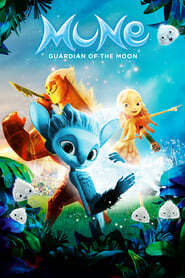 Mune: Guardian of the Moon When an evil magma demon and his minions steals the sun of a magical world, the new guardians of both the sun and the moon must embark on a quest to retrieve it and save their world from disaster as the moon faces destruction as well. Behind the Candelabra Based on the autobiographical novel, the tempestuous 6-year relationship between Liberace and his (much younger) lover, Scott Thorson, is recounted. The Invention of Lying Set in a world where the concept of lying doesn't exist, a loser changes his lot when he invents lying and uses it to get ahead. 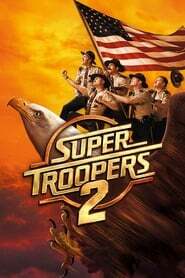 Super Troopers 2 When an international border dispute arises between the U.S. and Canada, the Super Troopers- Mac, Thorny, Foster, Rabbit and Farva, are called in to set up a new Highway Patrol station in the disputed area. The Interview Dave Skylark and his producer Aaron Rapoport run the celebrity tabloid show "Skylark Tonight". When they land an interview with a surprise fan, North Korean dictator Kim Jong-un, they are recruited by the CIA to turn their trip to Pyongyang into an assassination mission. Killing Kennedy Based on Bill O'Reilly and Martin Dugard's best seller comes this shocking thriller starring Rob Lowe and Ginnifer Goodwin. As John F. Kennedy (Lowe) rises to become U.S. president, a former Marine grows disillusioned with America. When their paths ultimately cross, the course of history is changed forever as seen in this mesmerizing film about the assassination of JFK - and its chilling aftermath.